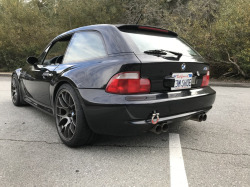 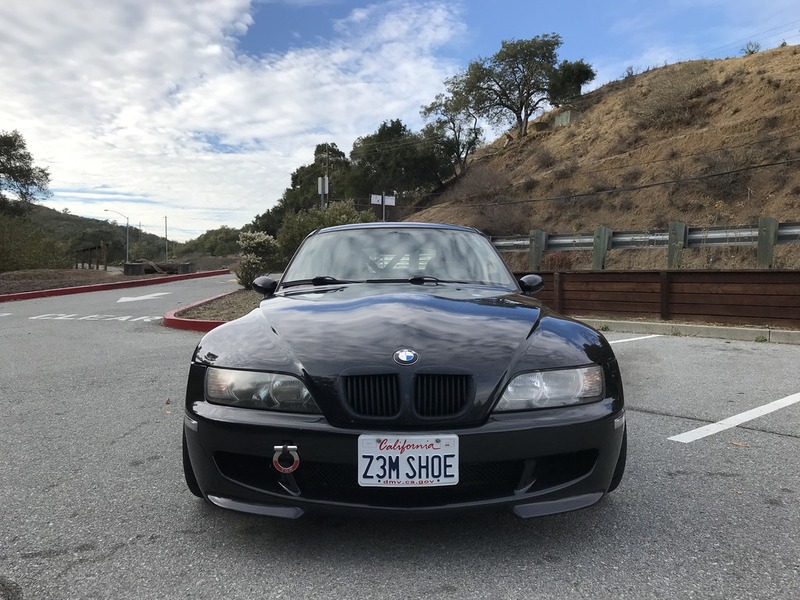 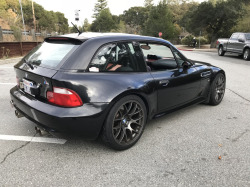 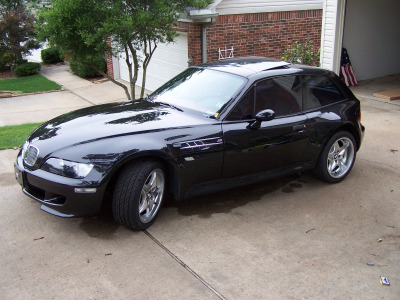 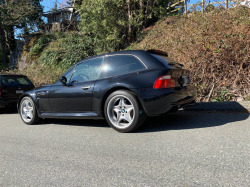 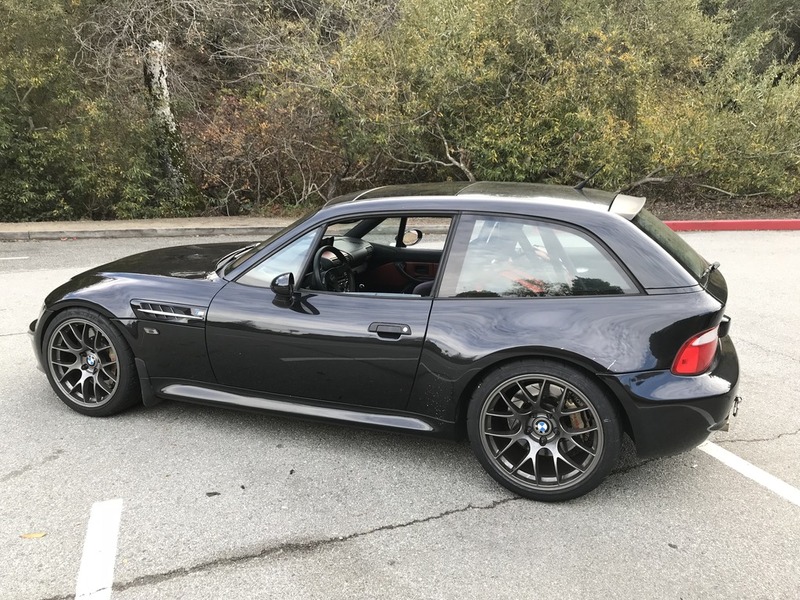 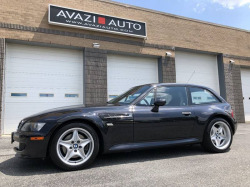 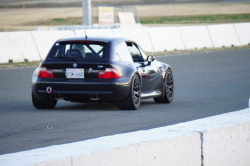 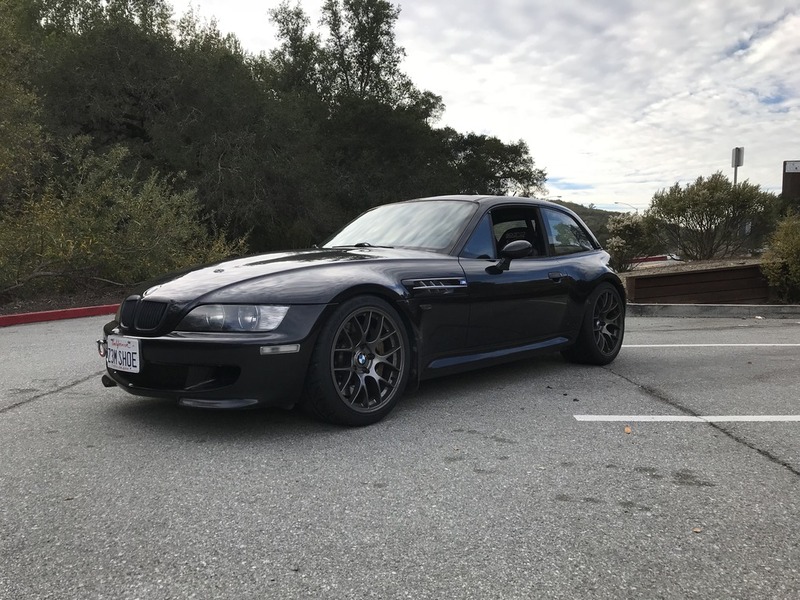 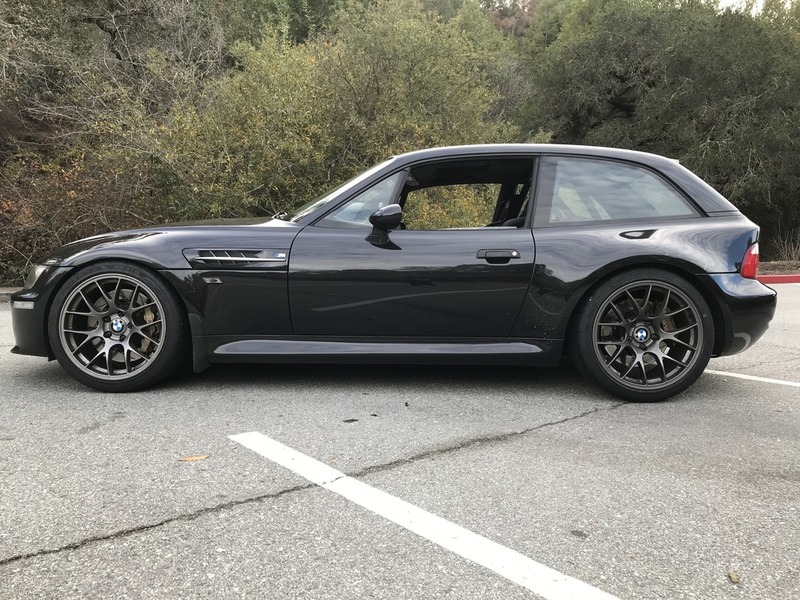 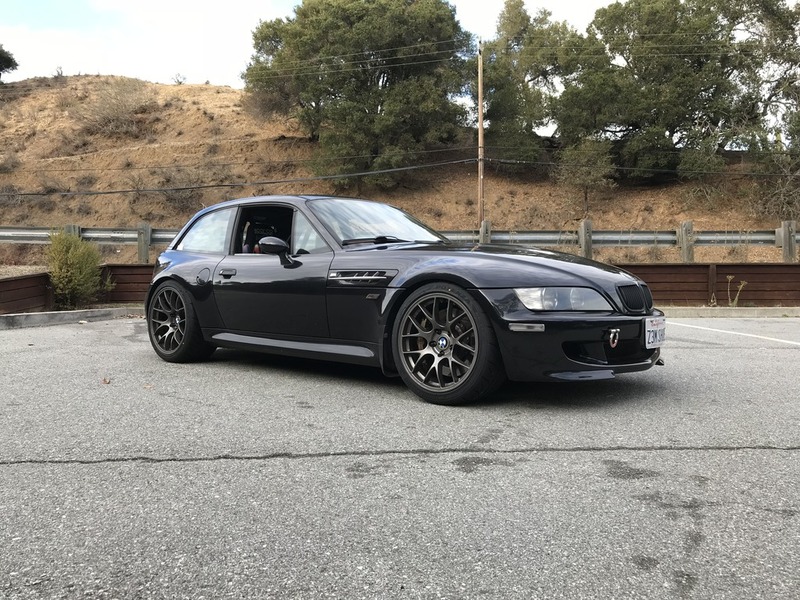 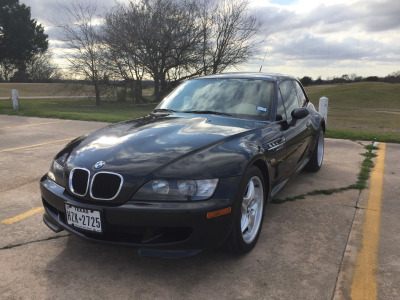 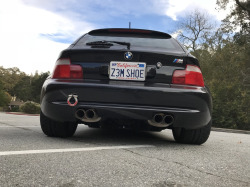 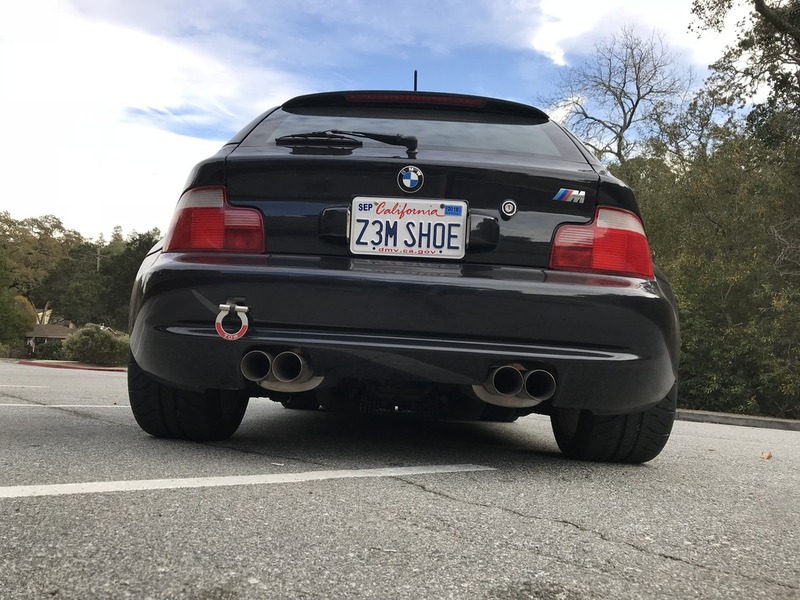 After several months of internal debate, I've decided to sell my Z3 M Coupe. This is my second one and I've owned it for a little over six years. 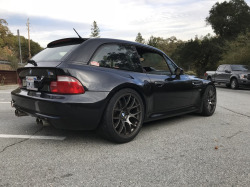 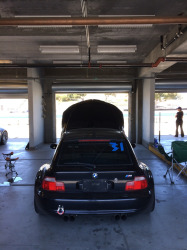 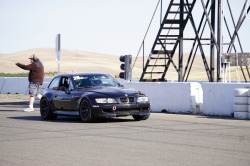 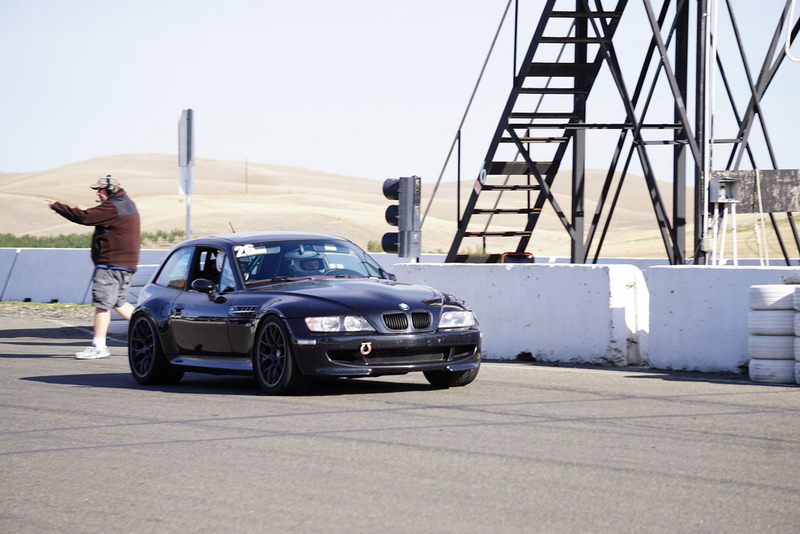 During that time, it's been autocrossed a number of times and has seen about 7 track days as well as serving as my daily driver for several decent chunks of time (including a 9 month stretch when I first purchased it). 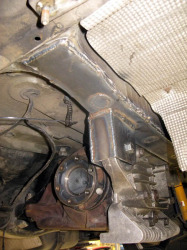 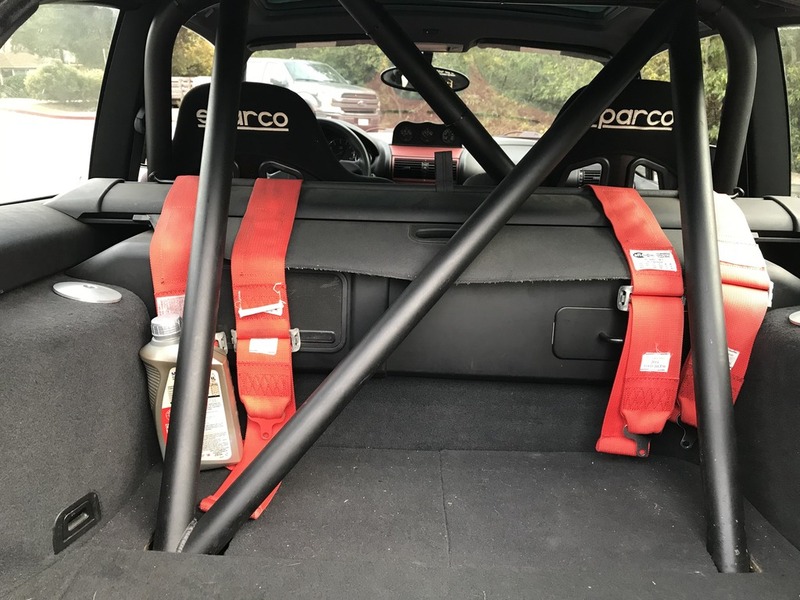 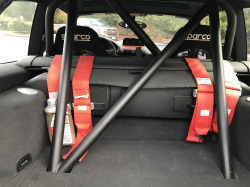 Most of the track-ready modifications (roll bar, subframe, etc.) 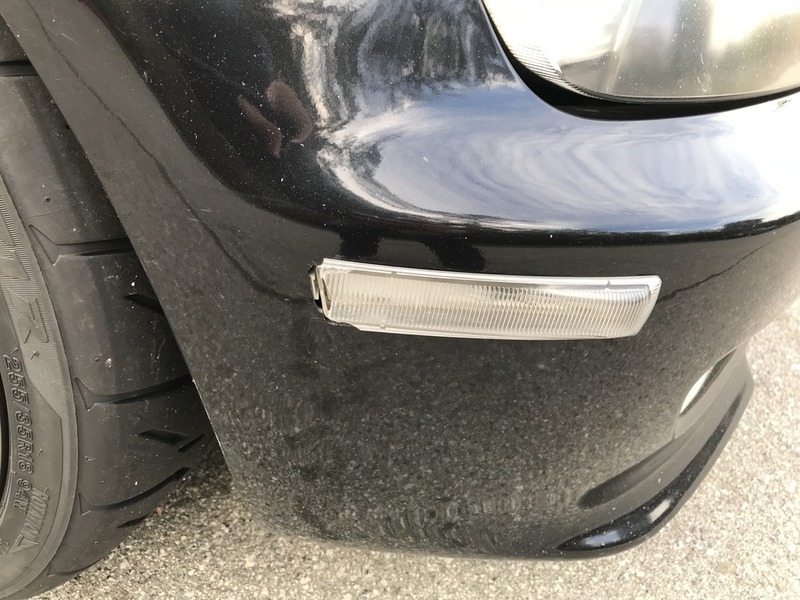 were done by the previous owner who tracked it fairly regularly in and around Florida (I had the car shipped to CA when I bought it). 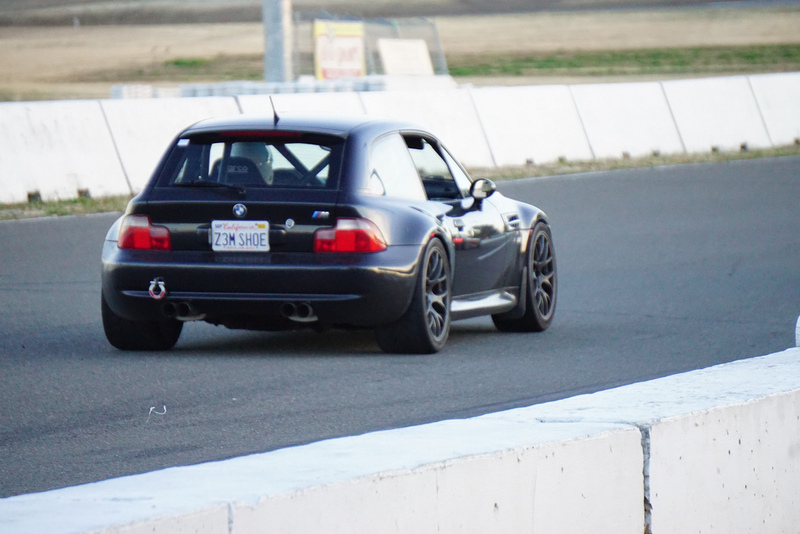 I would describe the car as a streetable track build. 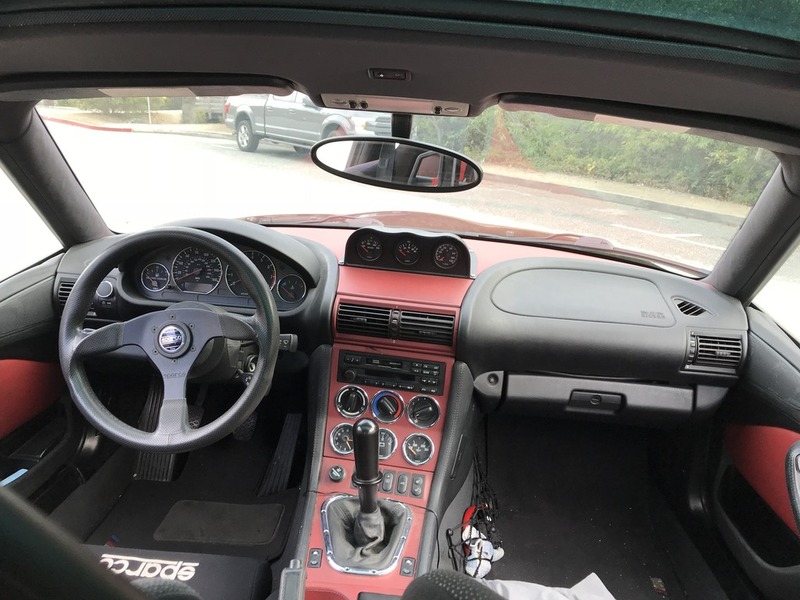 With one exception that I'll note later, it has everything you'd want in an S52 coupe to drive and enjoy it. While there are creaks/rattles and aesthetic blemishes that show the mileage, the engine itself was replaced at around 100k miles on the car. 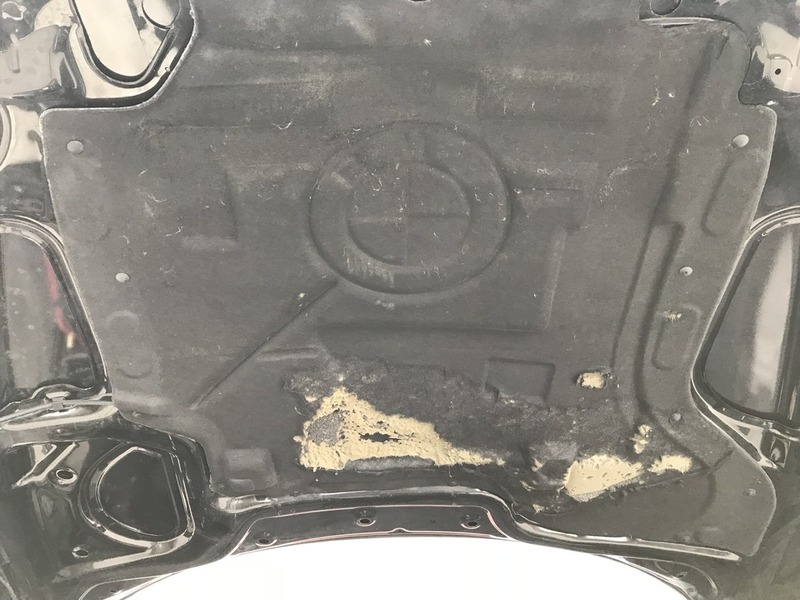 I'm struggling to find the paperwork I had from the previous owner, but a brand new factory long block was put in the car. 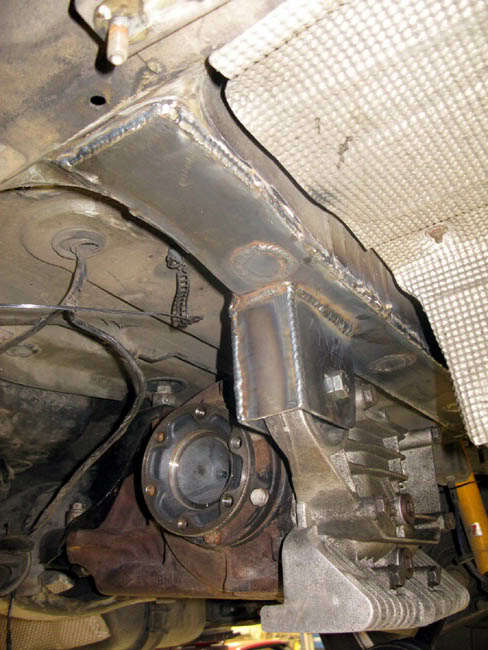 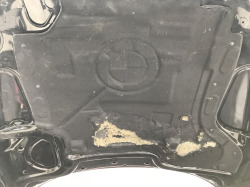 I have more pictures I can dig up of the car before me and during the subframe work if someone wants to see more detail (there are a couple in the linked album). 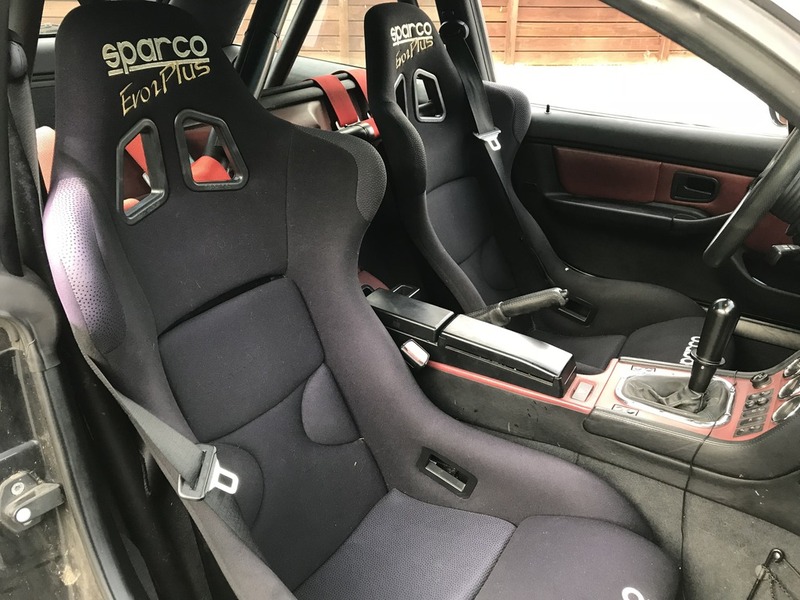 I have meticulous records of anything done during my ownership as well as somewhat detailed records pieced together from my conversations with the previous owner and his receipts. 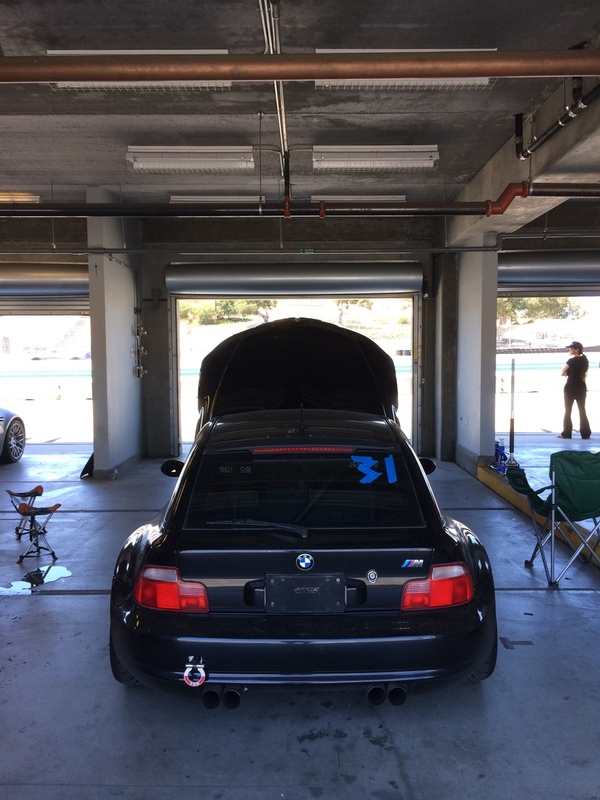 If you PM me your email address, I can send you a PDF with all of this info. I recently had the car in for brand new tires, tracking down an evap system leak (which ended up requiring the fuel tank to be dropped), and some other miscellaneous maintenance items. So with all the nice parts on the car, there are some areas that the next owner might want to address. 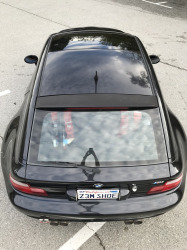 The roundels on hood/side gills could stand to be replaced. The paint isn't spectacular as the car is old enough to vote; stone chips and things like that are definitely present. 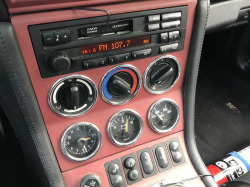 The front speakers seem to have given up a while ago, so I currently just send everything to the rears. 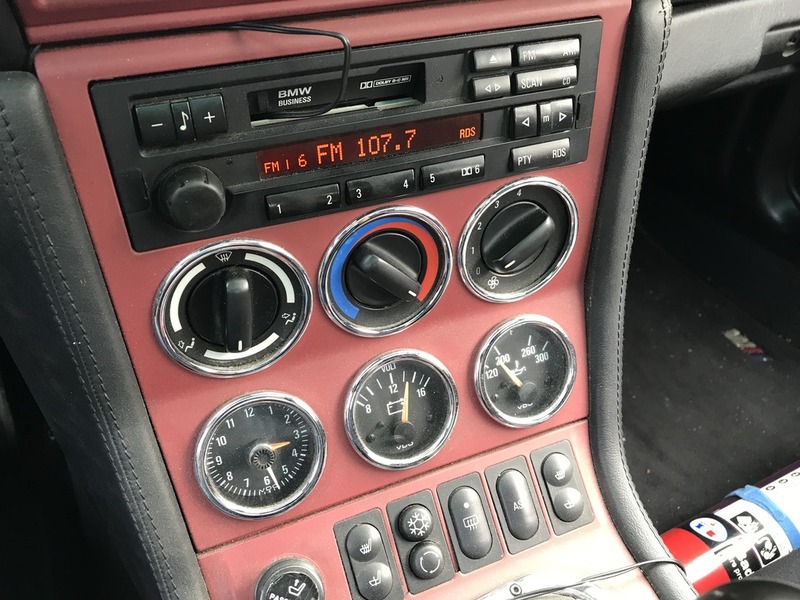 The magnaflows can be a bit loud, so fixing the stereo would be a nice thing if you plan to drive it a fair bit. 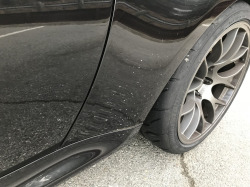 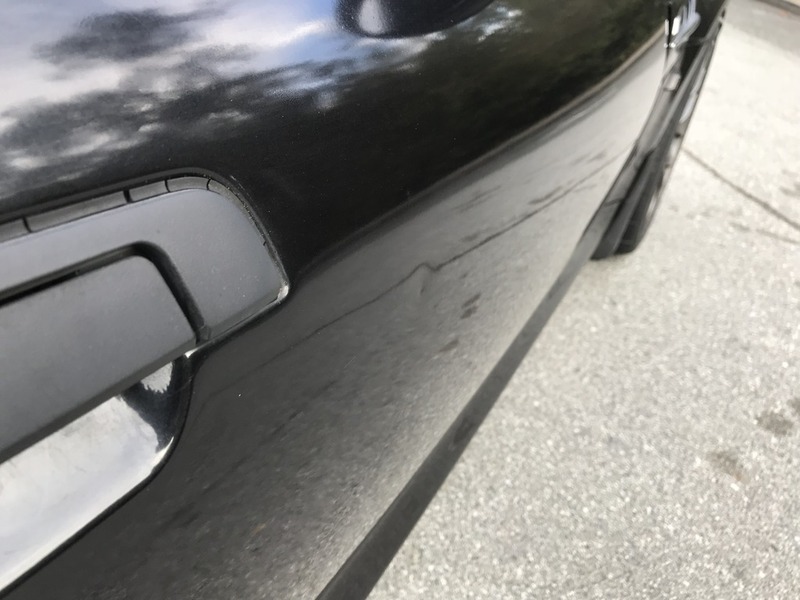 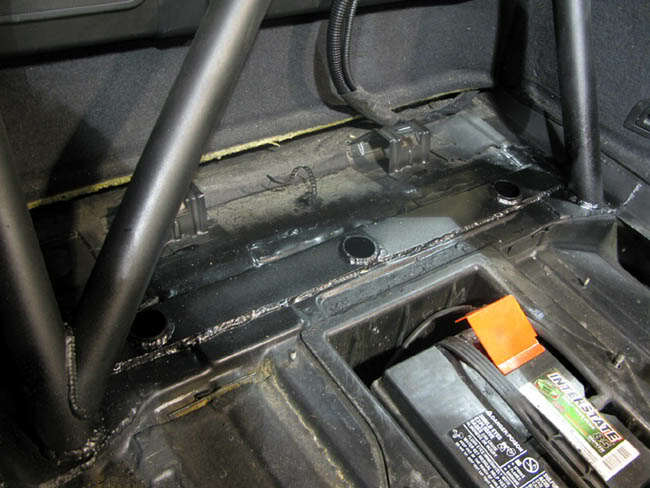 As with most older S52's, there are various areas showing small oil seepage, but nothing that has been leaving any marks where the car is parked. 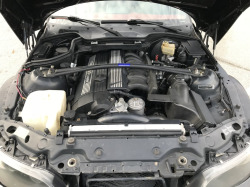 I think the biggest thing I would address if planning to continue tracking the car (or just using it in hot weather) is a proper oil cooler. The car always ran at very stable temperatures (on track and off) with the old cooling setup (mishimito radiator and a mechanical fan), but when the mishimoto started to show signs of cracking, the reputable shop I took it to recommended the S54 radiator and electric fan. 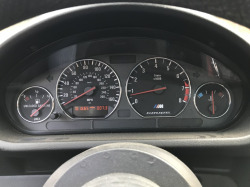 It now runs hotter than it used to and I'm convinced this is due to the smaller frontal area of the S54 radiator which is intended to have an oil cooler. 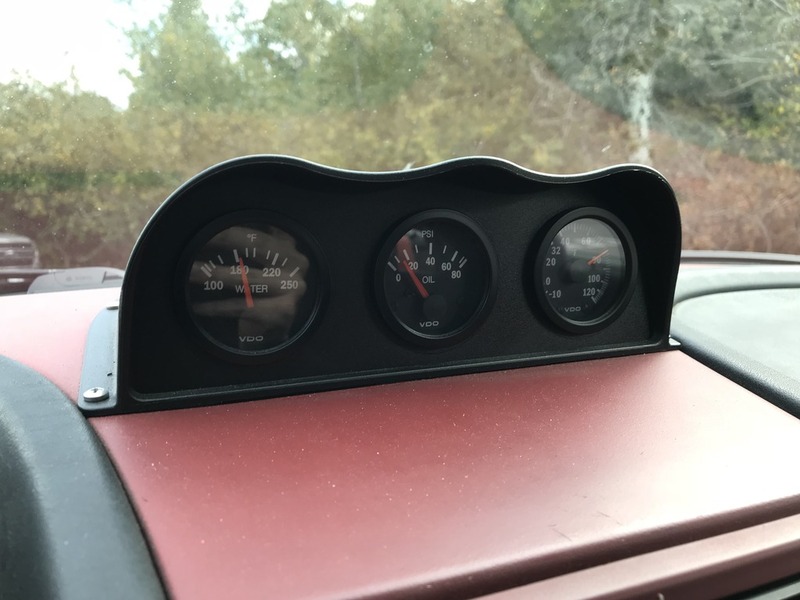 That being said, the car has been tracked as-is in near 100°F temps and has never overheated (though I tend to turn the heat on low as a precaution). 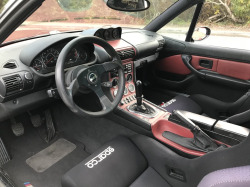 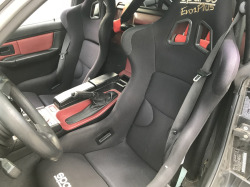 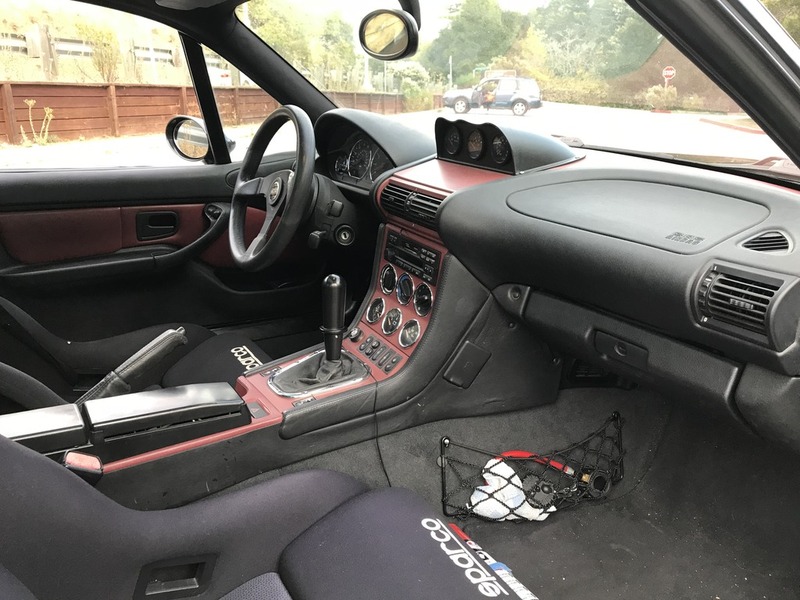 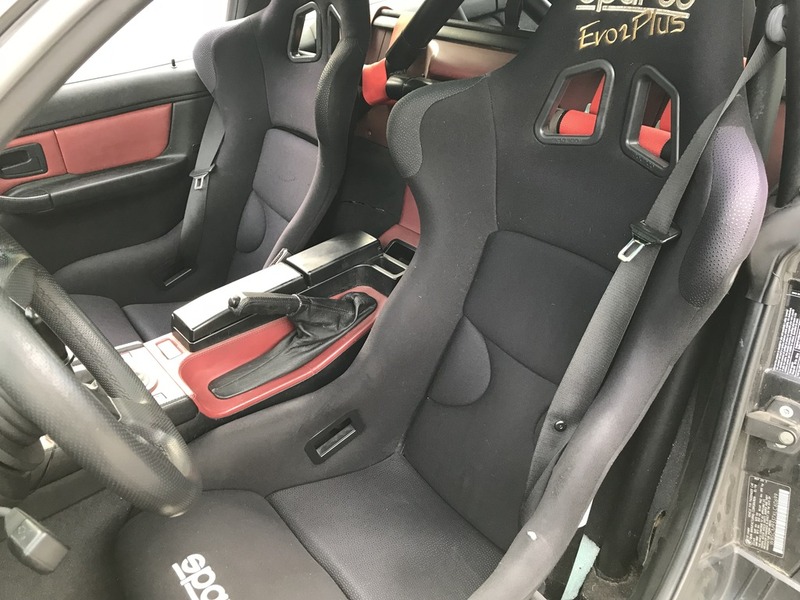 The car obviously isn't a show car or a pristine example if that's the sort of coupe you're looking for, but I'd say it's the perfect car if you want a coupe and want to really enjoy driving it and pushing it to its limits. 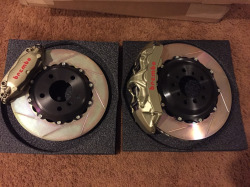 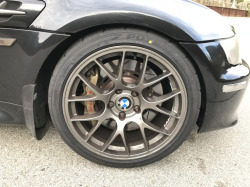 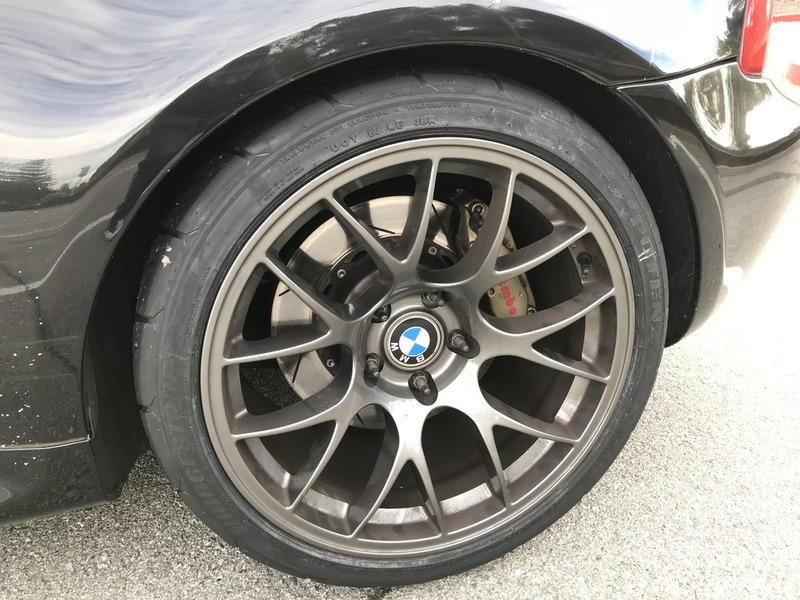 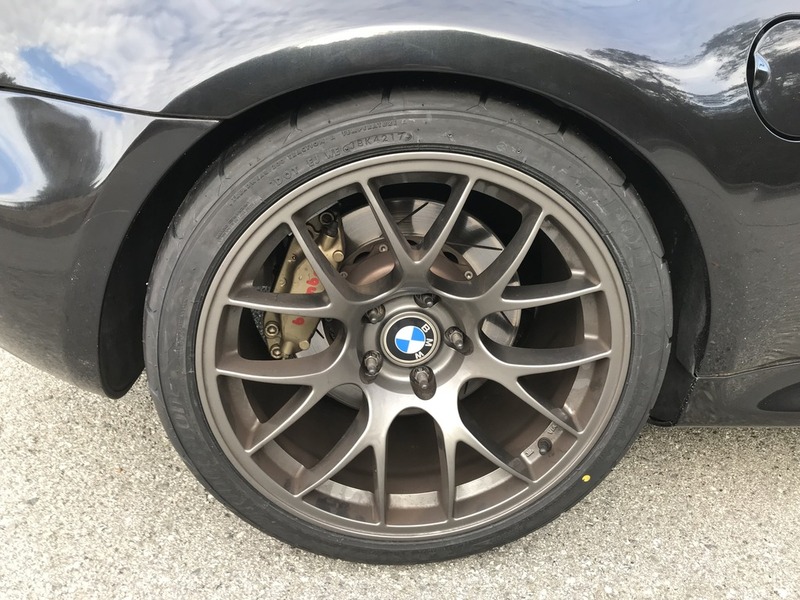 While the price might seem high, keep in mind the high cost of all the parts and work done (try pricing the Brembo's). The reason I originally purchased this coupe and replaced my stock S52 coupe was due to quotes for things like subframe reinforcement and realizing it's way cheaper to buy one with that (and other things) already done. 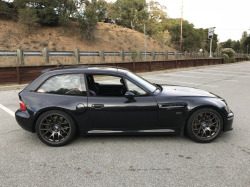 The car is located in Northern CA, but I have no problem shipping as long as the buyer pays for and arranges the shipping details (that's how I got the car here to begin with). For possible CA buyers, the registration was just paid and smog is good for about another two months. 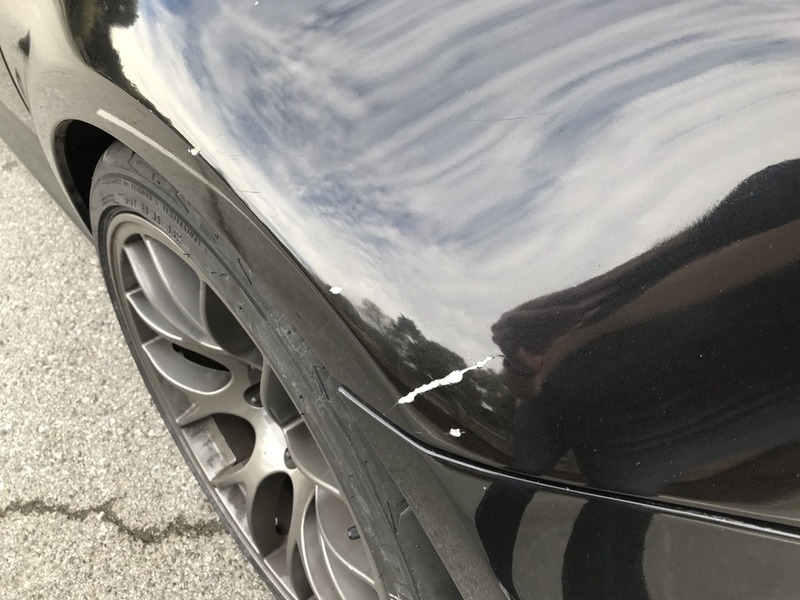 If you have any questions, just let me know. 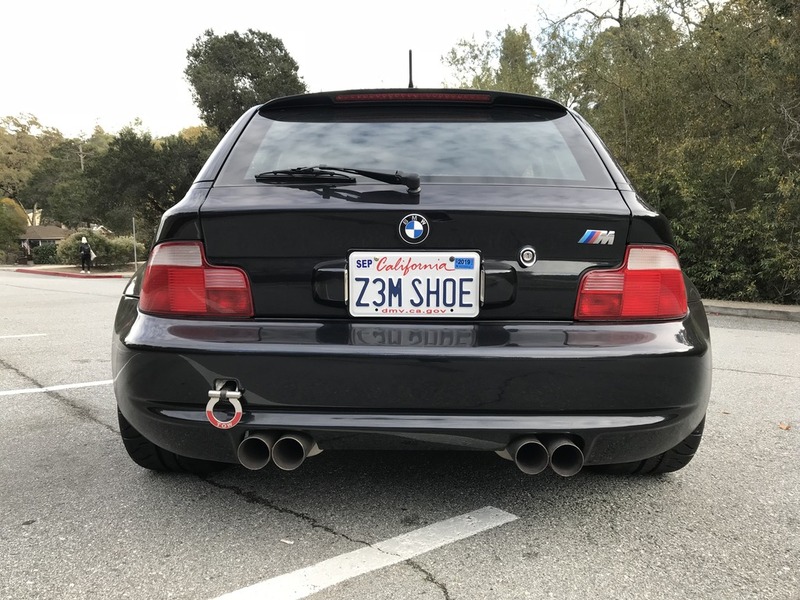 PM should be the quickest way to reach me. Tons of great upgrades and a good color combo as well. Highlights to me are the TC Kline D/A coilovers, Brembo GT brakes, reinforced subframe, 3.46 diff and Apex wheels. 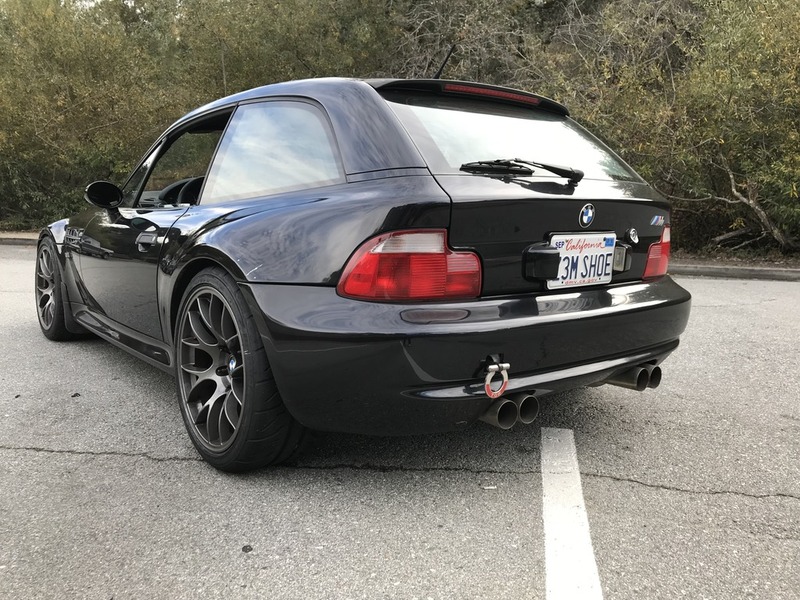 The price is fair to a buyer who appreciates all that's been done. 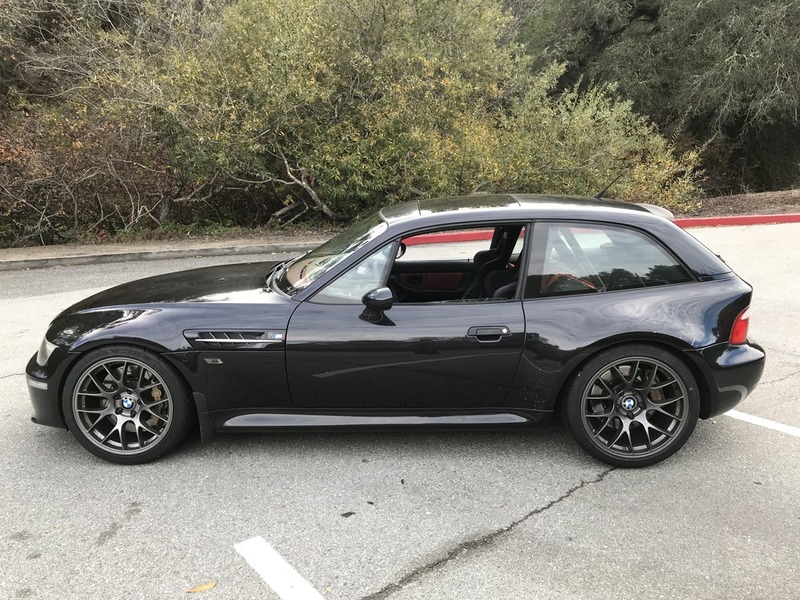 You couldn't build another one like this for the price.